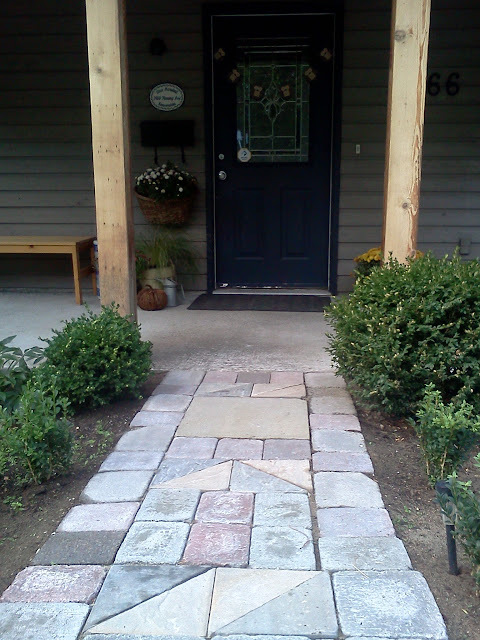 I'm here to gush over your hubby's handwork... nice front walk!! Liking your autumn decorations too :-) The fall is my favourite time of year as well because the world is filled with orange!! Your entry looks fab! And your hubby did an awesome job on the walkway :-) Aren't the colours of fall just so amazing? It was really nice to meet you at Blend - I wish it wasn't so loud, and it would've been easier to chat... wasn't the volume crazy, a good crazy, but still crazy! I LOVE your Owl Autumn banner!! !